TRT World, a news platform billed as offering an alternative view on global and domestic events, will now be broadcast via satellite to specially equipped aircraft, having reached an agreement with Panasonic Avionics. The move means TRT World’s live broadcast will reach operators including Turkish Airlines. Panasonic has more than 80 customers globally for its inflight connectivity and infotainment content. TRT World, headquartered in Istanbul, Turkey, was launched in 2015. “It is important to stay informed and up-to-date on world events,” said Fatih Er, director of news and programs at TRT World. “Panasonic is proud to offer the world’s only truly global inflight live television services,” said Julie Lichty, head of digital solutions and services at Panasonic Avionics. 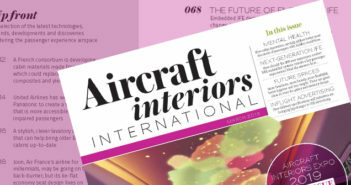 Izzy looks after sister title Business Jet Interiors International, which she has worked on since its second issue, and has been editor of since 2011. 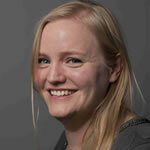 She also applies her transportation interiors expertise to Railway Interiors International. Outside of work, Izzy is rediscovering her love of art by learning how to paint with watercolors.